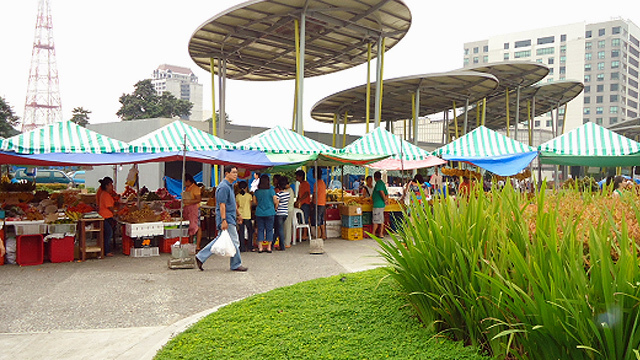 You can easily fill up your tummy at this weekend bazaar in Quezon City. 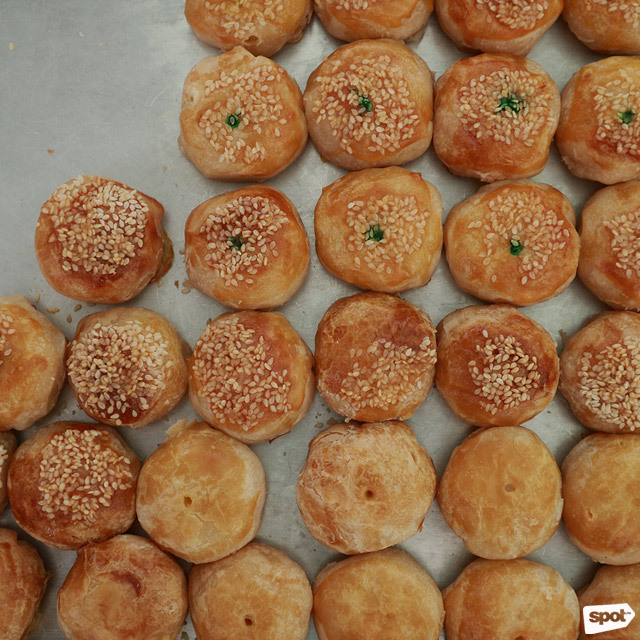 These bite-sized treats from Nene’s Hopia come in different flavors such as munggo, pineapple, ube, and apple, among others. 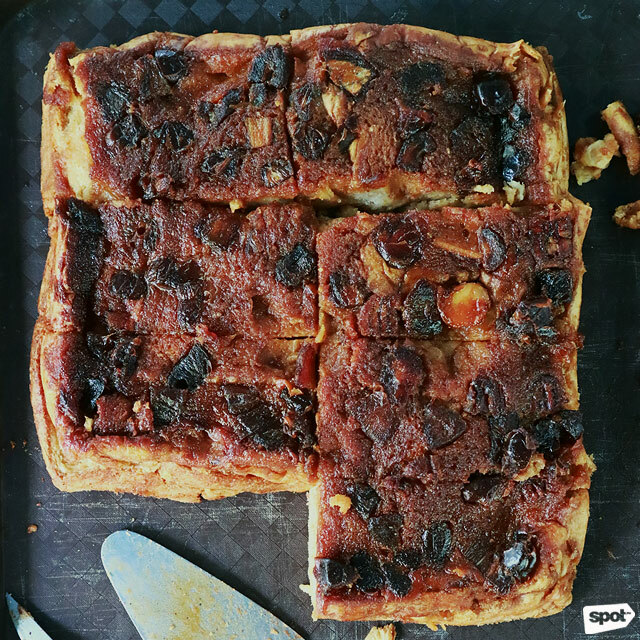 Melinda Gamalinda, owner of Nene's Hopia, says they guarantee the quality of their products and produce 1,500 freshly baked pieces every day. 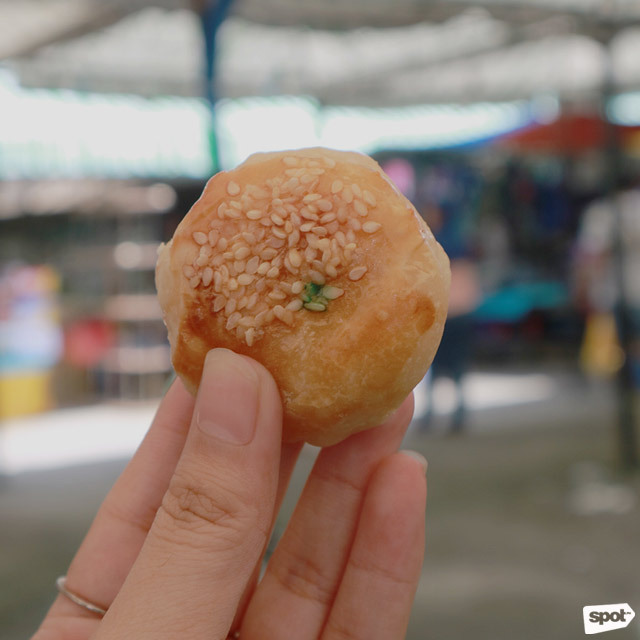 Their bestsellers are munggo with salted egg and sugar-free apple hopia that just melts in your mouth after every bite. For orders and inquiries, contact Nene's Hopia at 740-9478 or 0916-789-7524. 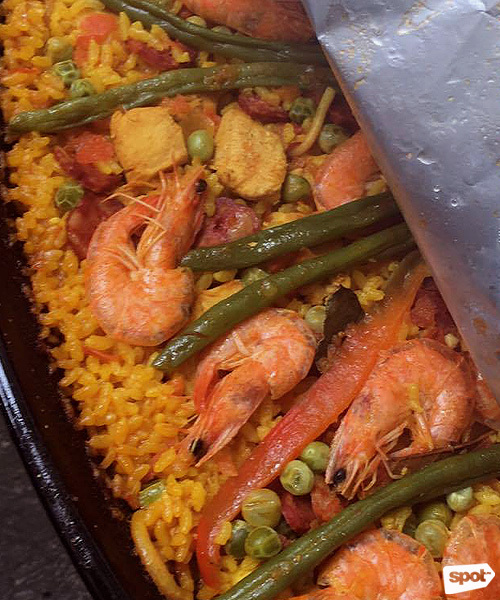 Cocina Genoveva offers classic paella prepared by a Spanish cook, Martin Gonzalez. He grew up surrounded by the women in his family including his mother, aunts, and grandmother who all taught him heirloom recipes, including the paella. According to his wife Marla, Martin doesn't believe in using shortcuts when he cooks, so he refrains from using artificial flavorings and instead makes paella the old-fashioned way: with real paprika and saffron. They serve two kinds of paella: Paella Mixta, with Spanish chorizo, prawns, crab, olives, and bell pepper; and Paella Negra, a dark-colored paella made with squid ink. Both versions are sold at P150 per quarter-kilo and P280 per half-kilo. 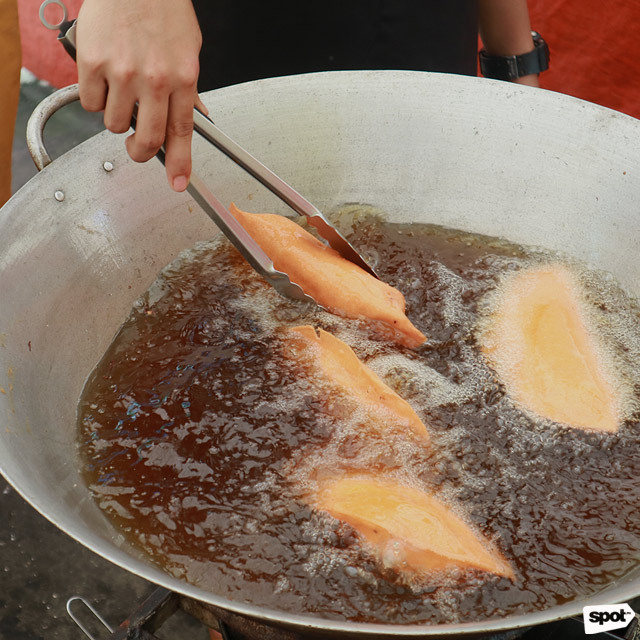 If you want to try this famous SIDCOR dish, better be at the bazaar early before it runs out. 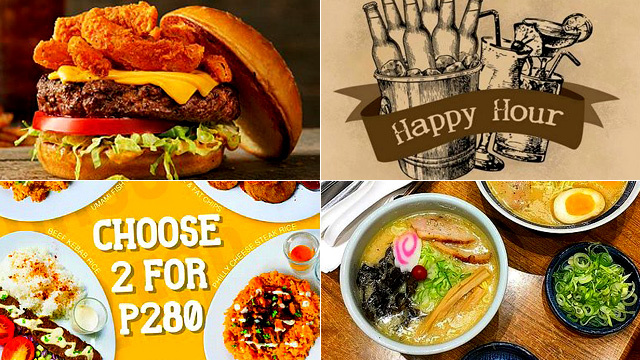 For more information, log on to Cocina Genoveva's Facebook page. 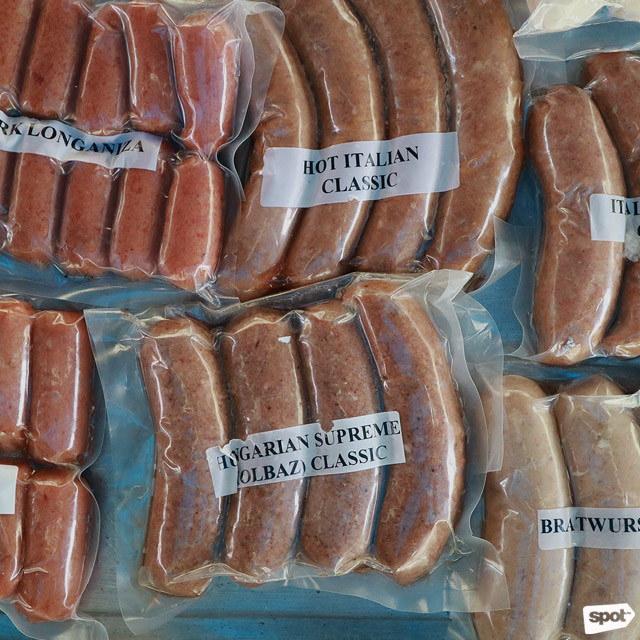 Whether it’s a choice between a spicy Italian and Hungarian sausage, or a Bratwurst and Pinoy pork longganisa, Sugar Mommy has a wide selection of savory sausages. Here, you can either order them cooked or frozen. 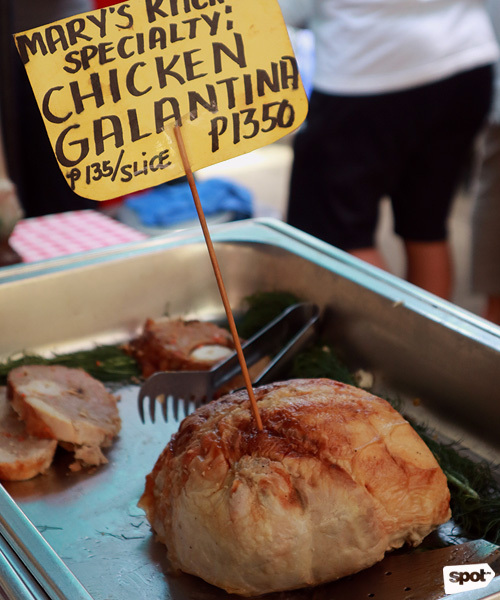 You can even choose two kinds, have them cooked, and served with a steaming cup of rice or bread all for P180. For orders and inquiries, contact Jing Regalado at 0916-660-7491. 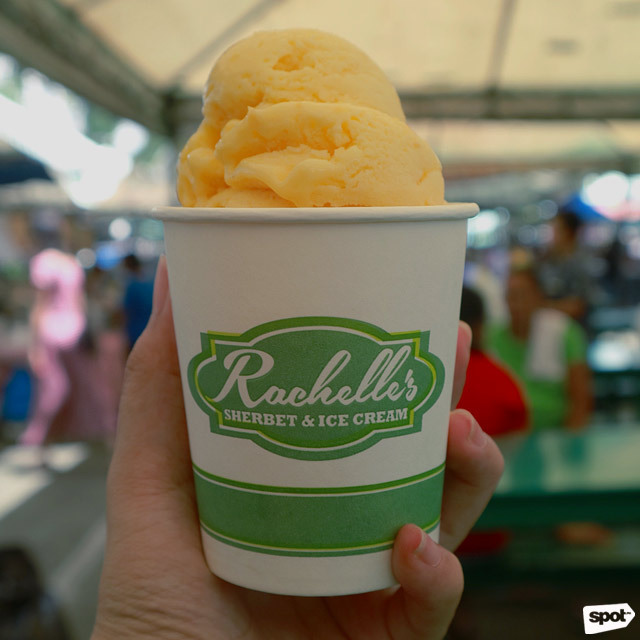 Right after a hearty meal, cool down with a few scoops of ice cream from Rachelle’s Sherbet & Ice Cream. 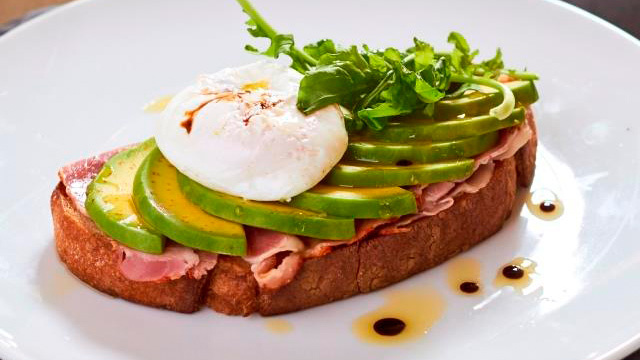 Their sweet concoctions come in different flavors like cheese, avocado, chocolate, corn and cheese, jackfruit, as well as a refreshing buko lychee sherbet. You can mix two to three flavors in a small cup for P40, while a medium-sized tub is at P180 and a half-gallon at P300. 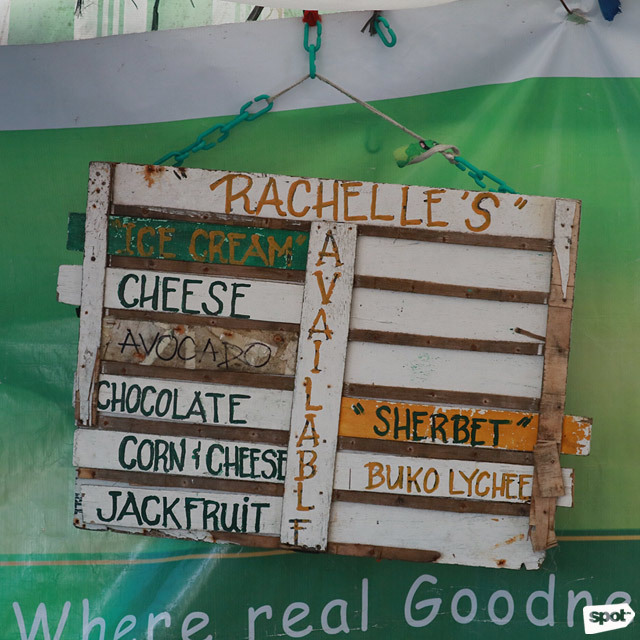 For more information, log on to Rachelle's Sherbet & Ice Cream Facebook page. Marietta's and Felicia's Kitchen makes this well-loved Christmas staple available every Sunday at the SIDCOR market. Besides this stuffed-chicken dish (best enjoyed cold), the stall also has other home-cooked dishes on offer like a savory tomato pesto, a warm and buttery bread pudding, and a fresh ampalaya and radish salad. For orders and inquiries, contact Marietta's and Felicia's Kitchen at 711-4475 or 0905-342-2227. We're here to assure you that there's no need to travel to Ilocos when you're craving those famed orange empanadas. Empanada Ti Ilocos prepares fresh empanadas (P50/piece) and cooks it on the spot for customers. 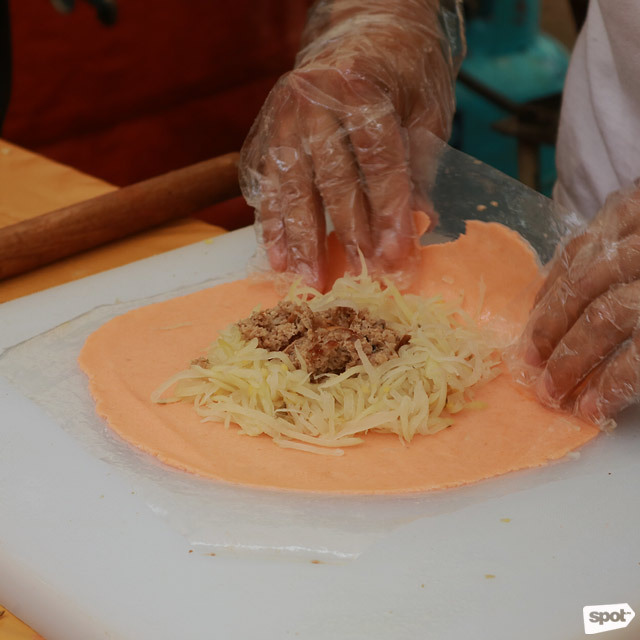 This savory fried pastry is filled with minced bagnet, Vigan longganisa, shredded papaya, and eggs, and is best served with sukang Iloko (Ilocos vinegar.) They also sell frozen bagnet and Vigan longganisa by the kilo. For orders and inquiries, contact Empanada Ti Ilocos at 0917-833-4148. 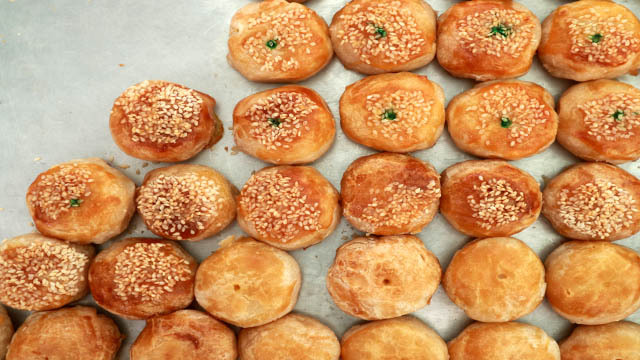 With the -Ber months coming in, this local rice cake is perfect for some early Christmas celebrations. 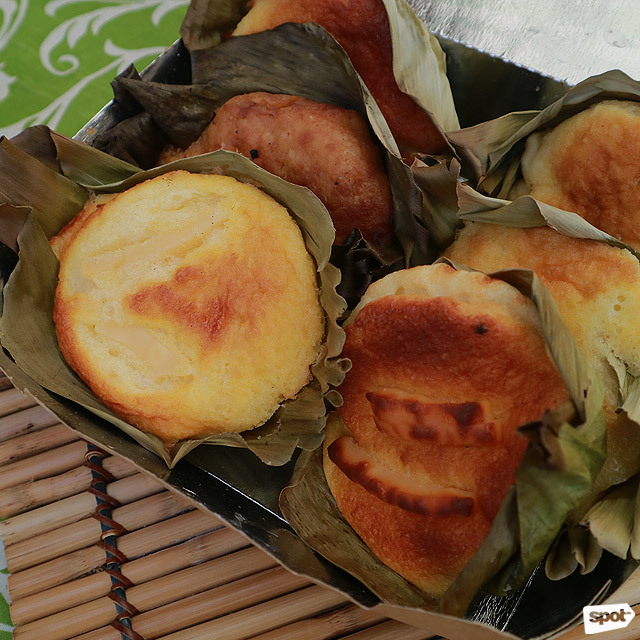 But unlike the usual bibingka you're most probably familiar with, the bibingkang galapong from Rudy's Country Chef is prepared with regular rice flour to make its texture smoother. It's sold at P25 a piece and P150 for a box of six. For orders and inquiries, contact Rudy's Country Chef at 924-1434 or 0917-896-8836. 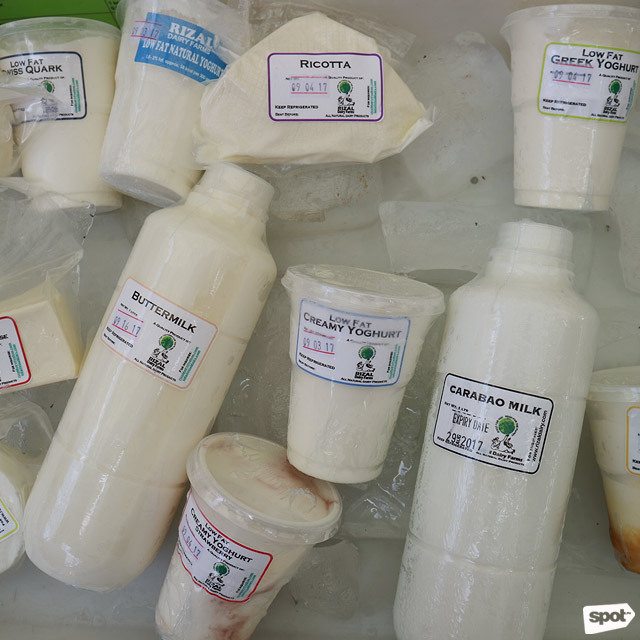 Rizal Dairy Farm is a one-stop shop for everything fresh: milk, yogurt, cheese, and sour cream. Their fresh milk comes in three variants—Cow’s (P130/liter), Carabao’s (P180/liter), and Buttermilk (P150/liter)—all natural and locally produced. Rizal Dairy Farms’ Greek yogurt is also one of their best-selling items. For orders and inquiries, contact Cristy at 0921-768-9318. These ball-shaped Japanese snacks made with squid (originally octopus) bits are really fun to watch as they're being cooked. 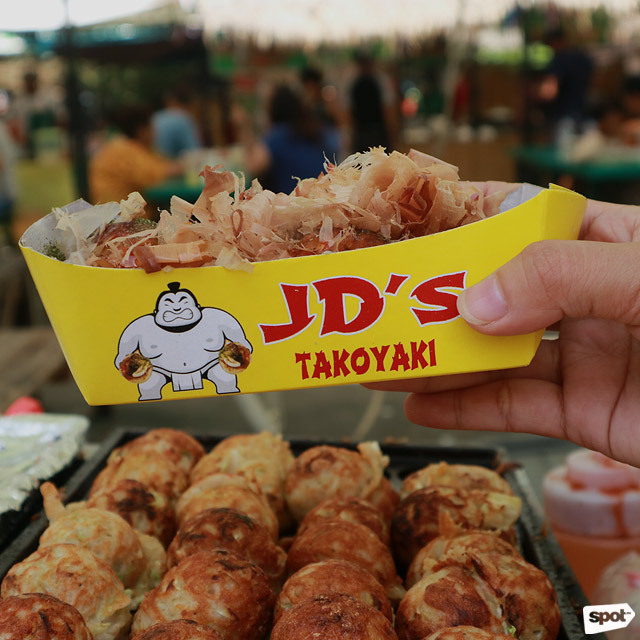 The Takoyaki (P60/four pieces) at JD’s Takoyaki comes with a special, creamy sauce and is topped with bonito flakes for an added seafood flavor. For orders and inquiries, contact Jen at 0915-392-7823 or 0933-011-9095. I Love Sisig Sarap's version of the classic sisig (P85 with rice and juice) boasts pure, crispy pork belly (minus pork ears and innards) that's minced to perfect, bite-sized pieces and garnished with fresh onions, chives, bell peppers, crunchy chicharon, and a unique soy sauce and mayonnaise combination. 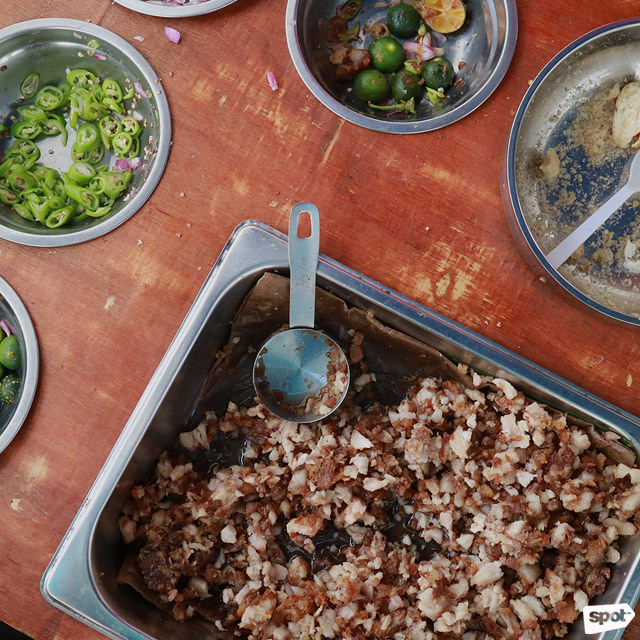 They also sell their crowd-favorite sisig in large packs for parties and social gatherings for only P320, which is already good for five to six people. For orders and inquiries, contact Lorna at 0933-433-2777.